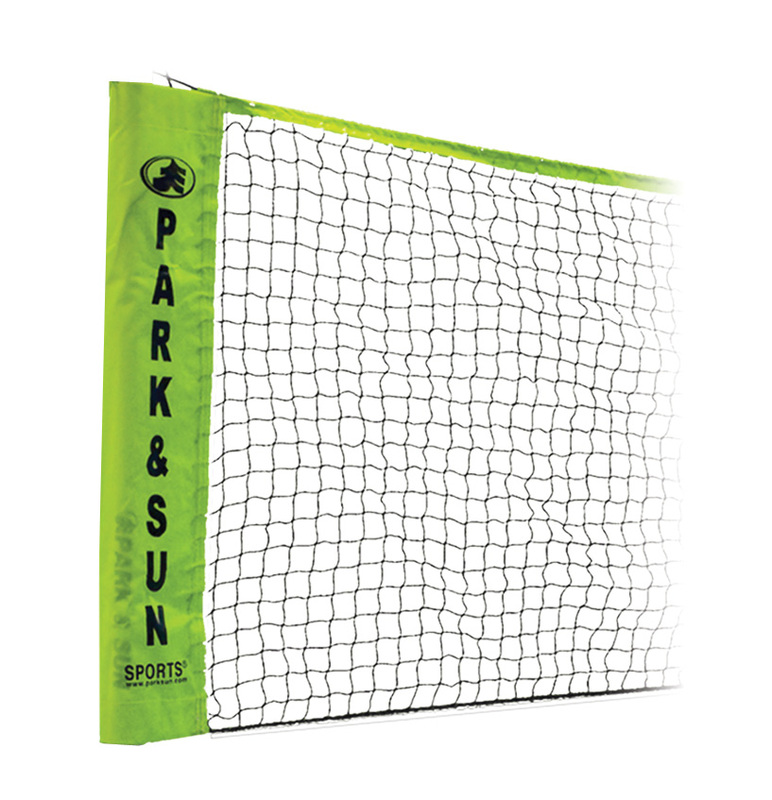 The Park & Sun 21' Badminton Net is an official size, high-quality badminton net, perfect for recreational play. Featuring a rope cable top, 1" vinyl top tape, a 2mm nylon net, and 4" side pockets, this net will give you and your family hours of active fun in the backyard. This net is durable and colorful!